I missed posting a number of relevant Humble Bundles in recent months, due to health issues. Most bundles I skip, since they’re not relevant enough, but I did miss a few. This one is among the relevant ones, since our Transformers material (chiefly Bryan’s G1 stuff) is popular. 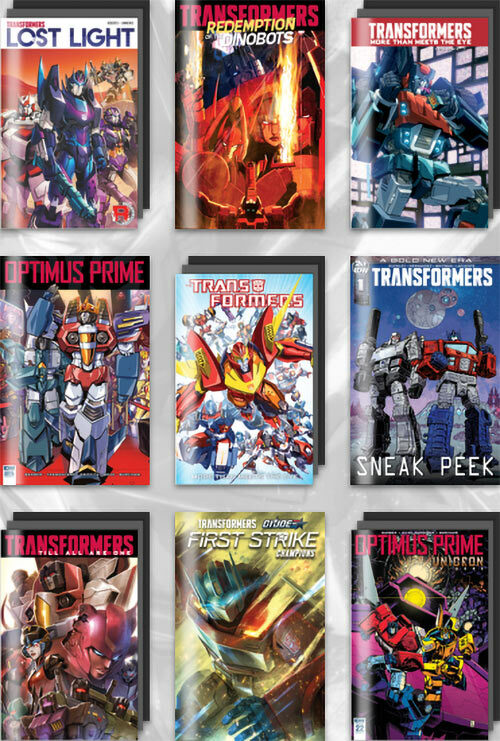 So a big pile of Transformers comics by IDW. Including a number of crossover Limited Series with, say, G.I. Joe or the Visionaries. All details are there (affiliate link). This is an affiliate link. The two parties getting a cut are the Hasbro Children Fund, and Writeups.org. You pick a tier, depending upon how much of the bundle you want and how much you want to pay. Everything is downloaded, comes DRM-free, and in multiple formats so you can read it using various software. At the page linked above you have explanations about the books, and previews of the material.